Ocado shopping is great. You finish all the regular groceries really quickly then get to spend 10 mins running the gauntlet of special offers and new products as you check out. You usually forget about these items and when the delivery man comes then you get mini Christmas Day moments. 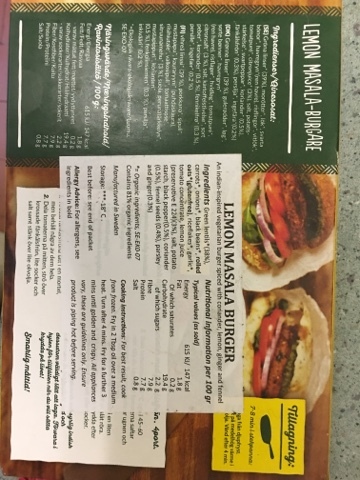 Here we have lemon masala burgers and sweet potato chips. 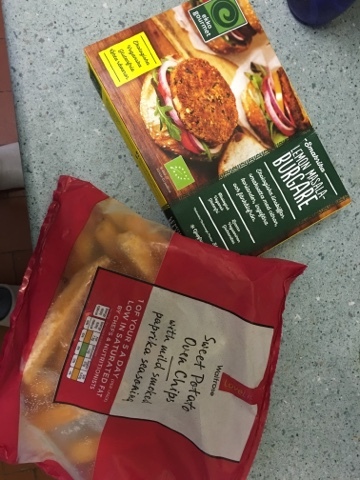 Vegetarian and certainly quite healthy, but are they any good? Well, we know the sweet potato chips are great, we may have even reviewed those before. 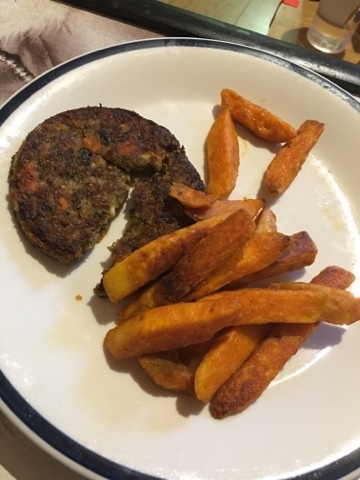 If you want to make your own then this is much cheaper, but sometimes we fancy oven chips and these are legitimately that bit better for you - a little bag of frozen compromises. The burgers surprised me by needing a sticker to tell you about them in English, there are many other Euro languages here, and by needing to be fried! 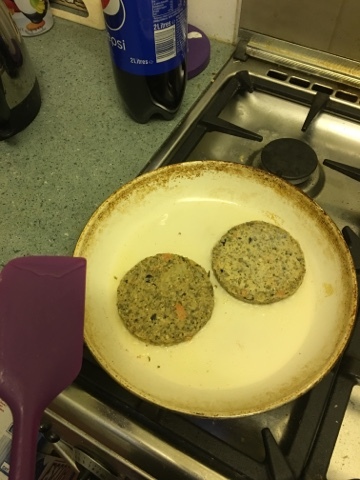 Using ceramic cookware and as little oil as possible I gave them a good frying. Possibly for a little longer than needed as they'd defrosted a little while the chips cooked. And here we have a meal! Well - again I should have buried it in veggies and salad, but this is supposed to be burger and chips comfort food. The flavours of the burgers are amazing - fragrant and light - with lots of amazing textures to delight the senses. Adding ketchup on these is not required! The chips too have all the flavour you'd expect and went really well. The only thing I'd change is I'd have two burgers per sitting instead of one, but if I'd done that we wouldn't be able to have them tonight too!